Home Perspective	The Black Agenda: Do we really have one? What is the solution? Take another look at The Millions More Movement model. 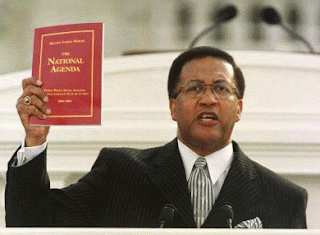 The Black Agenda: Do we really have one? What is the solution? Take another look at The Millions More Movement model. Do you even care about discussing that anymore? Like others, have you moved on to “something better”? For generations we Blacks have seen many solutions put on the table, countless books placed on shelves, numerous think-tanks, thousands of conferences, marches, sit-ins, protests, speeches, chanting, rallies, websites, talk shows, international gatherings, and more. I know I am missing something but you get the point. It seems like we have tried everything, right? No! The one element missing from all of this has been what the Honorable Elijah Muhammad said is “more powerful than a nuclear bomb” and would “solve 95% of our problems”: UNITY. During my personal journey as a young soldier in the upliftment of our people, I witnessed via television the historic Million Man March in 1995. In 2000, I attended the Million Family March along with my classmates from Prairie View A&M University. 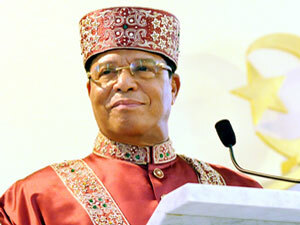 It was during that time that the Honorable Minister Louis Farrakhan along with a multi-spectrum of leaders drafted THE NATIONAL AGENDA: Public Policy Issues, Analyses, and Programmatic Plan of Action 200-2008. Have you ever read it? Please do. We have not exhausted its content. “It is time for our leadership to stop thinking and acting solely on behalf of our churches, mosques, temples, synagogues and organizations. It is time for us as leaders to come together and begin to think, plan, and act on behalf of the whole of our people. The concept was/is to develop ministries, but not religious in meaning but service. In this model all of our people can unify in their various fields of interest to solve the ills of the people. I helped to facilitate the Houston chapter of the Millions More Movement from 2005-2008 and I bear witness that this model is THE answer. Many may dispute but this model brought every Black organization we had to the table working together. But lack of consistent unity, poor follow up with ideas, egos, and other things caused it to dwindle away. I take the blame in part so getting it started again has been heavy on my heart the last year — I need to do something about it. But the question I pose to you is do you even care anymore about a Black agenda? I do. It’s not reverse racism — that’s an immature expression attached to the need for a people to do something for themselves just like everyone else has. We should not apologize nor hang our heads for loving our people. The Black Agenda is still relevant but without the element of unity it’s just a bunch of talk. Plus we should not be looking to others to give our agenda their stamp of approval. Another public forum is about to take place on Saturday, March 20 hosted by radio commentator Tavis Smiley. The Honorable Minister Louis Farrakhan has been invited by Tavis Smiley to join him and other national black leaders for this public forum on the “Need” for a Black Agenda. We’re all aware of the public dispute between Tavis Smiley and Rev. Al Sharpton regarding President Barack Obama’s stance on the Black Agenda. I won’t use my blog to dig off into that disagreement but I will ask you to read the the latest cover story of The Final Call Newspaper which addresses it atDebate rages about holding first Black President accountable. This forum by Tavis Smiley will be televised live on C-Span from Chicago State University – Patricia A. Jones Convocation Center, 9501 South King Drive, Chicago, IL 60637 at 8:00 a.m. – 12:00 p.m. CT with a press conference at 12:20 p.m. CT. Admission is free to the public on a first come, first served basis. All attendees must register @WWW.TAVISTALKS.COM. I will be tuning in and listening specifically to what Minister Farrakhan has to say…..time dictates the agenda and he is the man of this time. Are You What You Eat or What You Digest? 1 day ago Support Independent Education! #repost • @nurimuhammad ‪ My wife @terrimuhammad and I are running a 1/2 marathon on May 4, 2019. ‬ ‪We decided to dedicate this race to to our wonderful children of Muhammad University...‬ ‪ Would you be so kind to donate whatever you can and share this initiative with your friends and family? ‬ Link is in my bio. Thank you in advance!